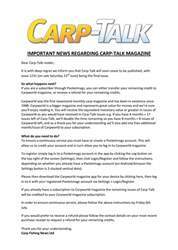 This week’s issue of Carp-Talk (issue 1068) is available to download now. 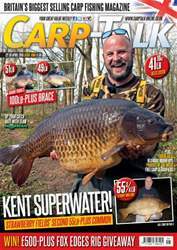 We’ve got some huge carp in this issue, including the 55¾lb Walt from Strawberry Fields in Kent, a 100lb-plus brace from Welly, and the 51lb Dave from Bluebell’s Swan Lake. 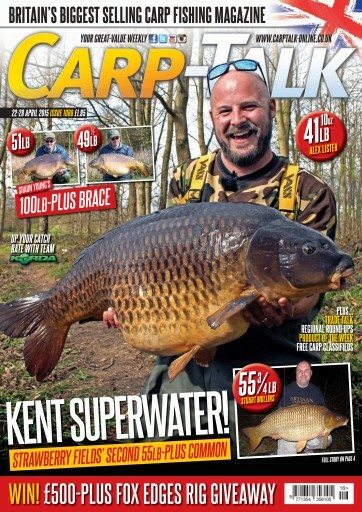 We’re packed out with forties, including lumps from Holme Fen, Bayeswater, Grenville’s, Horton and many more. 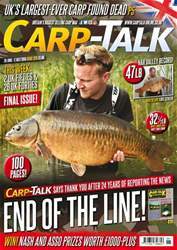 We take a look at the first round of qualifiers in the British Carp Angling Championships, Darren Bailey explains why he loves zig fishing, Wayne Mansford has five top tips for fishing Farlows Lake, and Paddy Ramsden has a session to remember on Erics Angling’s Willows. 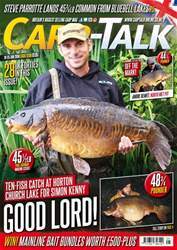 Myles Gibson is back amongst the fish after a long, frustrating winter, and we take a look at Simon Crow’s leatherbound edition of The Adventures of a Carp Angler, along with products from Nash and Sticky, in Trade Talk. We’ve got £500-plus worth of Fox Edges gear to give away, and the Sticky, Gardner and Wychwood Rising Stars winners around announced.